Telling the truth can be daunting in and of itself, but being the only person who dares to is something else entirely. Russian journalist Anna Politkovskaya dared to. Despite all the obstacles, including multiple death threats, she pushed forward and continued to report on the Chechen War—until she was assassinated on her way home in 2006. Politkovskaya was the only Russian journalist who had the courage to write about the ravages of the Chechen War, and oppose it. In 1999, the Russian military teamed up with pro-Russian Chechen forces. Together, they strove to push out and completely obliterate the voices of those in Chechnya who advocated for a separation from Russia. Finally, by 2009, the Chechen separatists had been viciously broken apart, and the war came to an end. Imago Theatre’s production of Intractable Woman tells the story of Politkovskaya’s efforts right up until her death. Directed by Micheline Chevrier and performed by Deena Aziz, Laura Condlln and Warona Setshwaelo, who each played the role of Politkovskaya, the play was impactful, moving and necessary for many reasons. 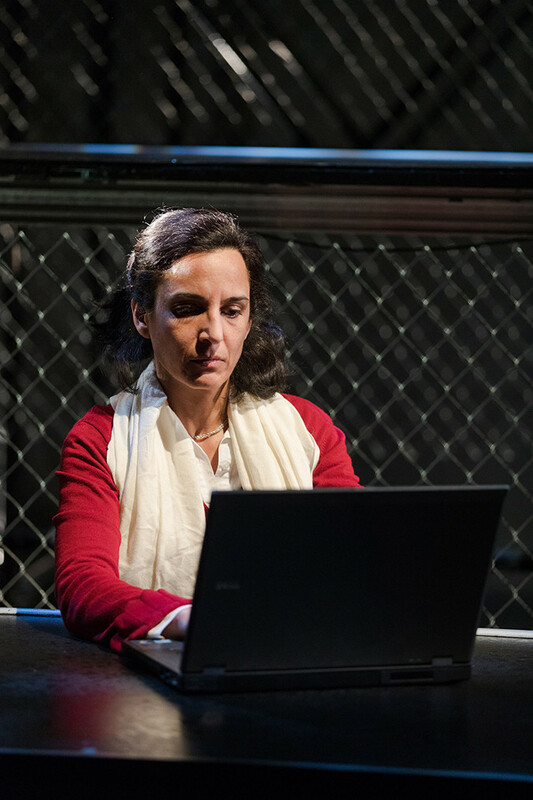 The play centers around the struggles that Politkovskaya encountered while reporting on the war. From being kidnapped, tortured and intimidated, to interviewing young Russian soldiers who made it a game of killing Chechen soldiers or even civilians, the Russian journalist strongly opposed the voices who threatened to silence hers. With such a small cast and a minimal stage of platforms with nothing on them, the question was how this play would unfold. 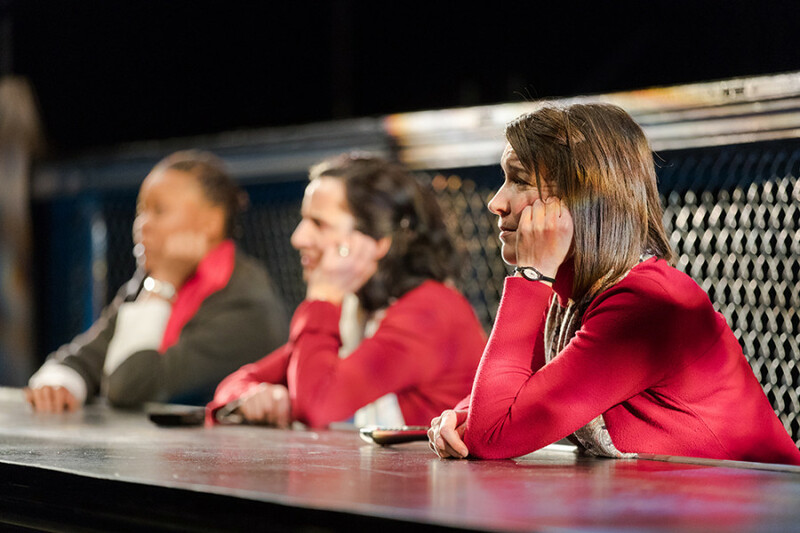 With only scarves, coats, and laptops as props to accompany them, the three actresses had to rely mostly on their connection with the audience through the delivery of their lines. More than just solid line delivery, the actors moved about the stage in synchronized and deliberate actions that reflected what they were saying, making the dialogue all the more powerful and the need for more props unnecessary. Brief scenes with quick lines like this only give so much insight as to how Anna must have been feeling before her death. Scared? Angry? Hesitant? Perhaps all of the above. But it made the scenes meaningful and left it open to the audience. 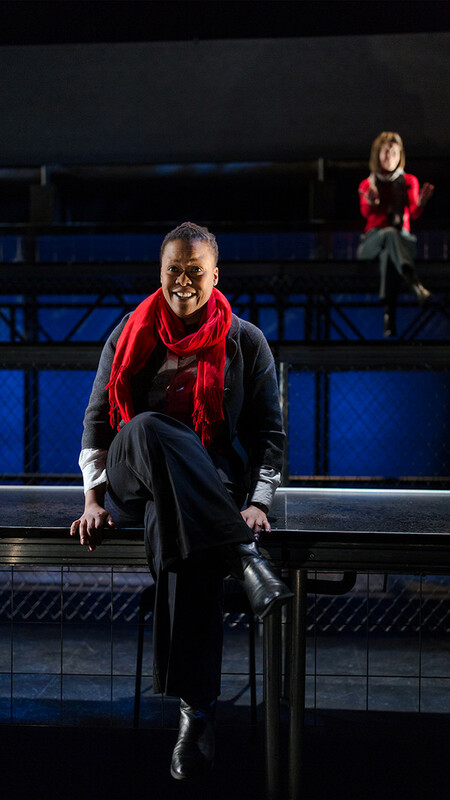 With an important message that is still all too relevant today, Intractable Woman is something that is definitely worth looking into while it’s still onstage.